Our batteries full and bodies packed with vitamin D – it’s time to take on some new challenges and start leaving the (oh, so awesome) summer behind. Scoro’s recent update includes three brand new features to keep you progressing. Plus, many great improvements to the existing ones. Let’s fall right into it – here’s what we’ve done. Instead of making your decisions based on a gut feeling or being clever in hindsight, see whether your projects are profitable while they’re still in process. Scoro’s WIP report can help you effectively manage your project budgets thanks to getting a clear overview of the billable time and project-related costs, both yet to be charged. You can activate the report for different roles by going to Settings > Administration > Roles and permissions and ticking the right to “View WIP report” for the relevant user role. Note! WIP report is available for everyone to try out for a limited amount of time. The finalized report will be available in Scoro Ultimate package. To make the lives of salespeople notably easier, there’s now the possibility to use markup when creating sales documents and pricing your services. This practical addition lets you see the markup on each product line, and adjust the selling price of the product/service by just changing the % in the markup field. As simple as that! The markup feature is available with Scoro’s Margin setting. Just go to Settings > Sales and finance › Margin and markup to start using it. Tags are truly helpful when trying to locate an important piece of information from the large amount of data in your site. With the addition of user tags, you’re now able to define and easily filter out data related to different types of users (e.g. find all tasks related to designers with certain skills). You can apply user tags to filter out specific users in the Calendar, Tasks and Planner. Go to Settings > Tags and relations to start creating user tags. Another bite from the long list of visual (and functional) improvements to come – this time we’ve refined Tasks. With this update, we’ve replaced the old, a bit cluttered, black and white task preview window. The new task preview is airy and easy to comprehend, with information logically placed. Plus, there’s now a task progress bar visible right there in the preview, no need to open the task for an update. We’ve moved some of the functionalities from the task list to the task modify view and left only the truly important data visible. When hovering over the task priority icon, it turns into a clickable pencil icon that takes you to the task modify view. When marking a task as done from the list view, there’s now a tiny popup that allows you to pick the date when the task was done, and change the time spent on it. Just double-click (like you’re used to) to mark the task done with today’s date. The Scoro Phases and Milestones feature is of great help when planning and working on project-related jobs. We’ve added a preview to activities planned under a phase or milestone with deadline or date outside the phase/milestone in the project timeline. This gives you a clear overview of all project-related jobs. Just hover over the red dots indicating these activities – you can see exactly what they are, and where they stand in terms of progress. From now on, when adding a new task/event or a project and saving it, you can see right away whether you’ve marked it as personal or not. This helps to avoid leaving the activities meant for your eyes only out in the open. In the task/event detailed view, if the activity is marked as personal, there’s now a grey user icon visible in front of the name of the activity. For projects, we’re using the suitcase with user icon to indicate that it’s personal, and a suitcase with a key icon for projects accessible to members only. To save you from jumping back and forth between your task list and work report for a complete overview of all activities, we’ve added another level of detail to the task list. 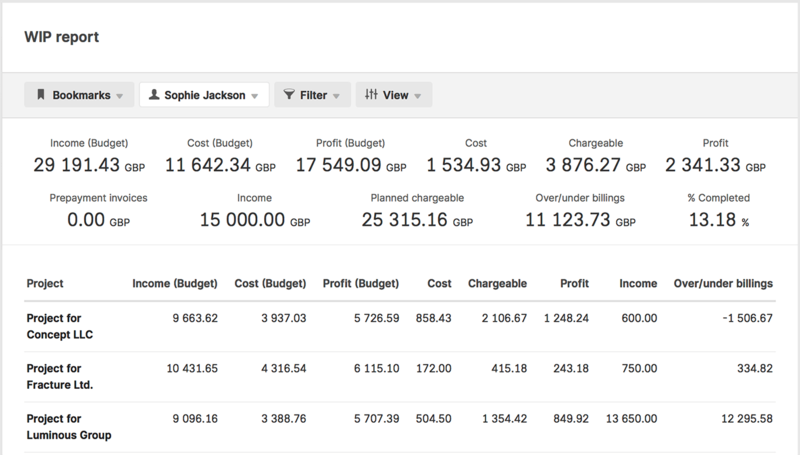 In addition to the existing possibilities when filtering, grouping and sorting the information in the list, you can now refine the data on the list using the custom fields specific to your business. Instead of opening each quote to change the author, there’s a new mass command available in the quotes list allowing you to assign an author to multiple documents at once. When creating a sales document from an order or a quote, the original document is now automatically marked as completed and timestamped. The same happens when changing the status of the order/quote manually. This way you can continue your natural workflow without looking back. Just tick the checkbox “The initial order/quote will be set to status Completed”, when using this option. Instead of adding data manually when compiling purchase documents, we’ve added another small step of automation. From now on, if the products on a quote come from the same supplier, the supplier information is automatically filled in when creating a purchase order from that quote. When adding a new widget (not a metric) from the dashboard, a bookmark is created and saved. In the widget you can select which columns to show and the order they’re displayed in. So far, when opening this bookmark in the relevant listview, Scoro also displayed the columns not selected by the user. We’ve fixed that, so now the bookmarks act as they should, no matter where in Scoro they’re created. Site administrators are now able to see and, if needed, delete all imports users make in the site. Just filter out the imports of any user (or a team, or select all of them) in the Import/Export module. When deleting another user’s import, the user is automatically notified by email. We’re now logging information on changes made to the imported data. This helps to differentiate the items created with an import from those modified during an import. Thanks to that, when deleting the import file, already modified files (from that import) will stay unharmed. In Scoro you are able to add product descriptions in multiple languages. However, so far, if you changed the language of the PDF file, the product description was still shown in the site default language. We’ve improved our system, so that the product description is always taken from the correct product description field on the product card. Just add the descriptions in different languages and you’re good to go. Okay, it’s time to go and see the new version of Scoro for yourself! We do our very best to make Scoro better every day, so we really appreciate your feedback. 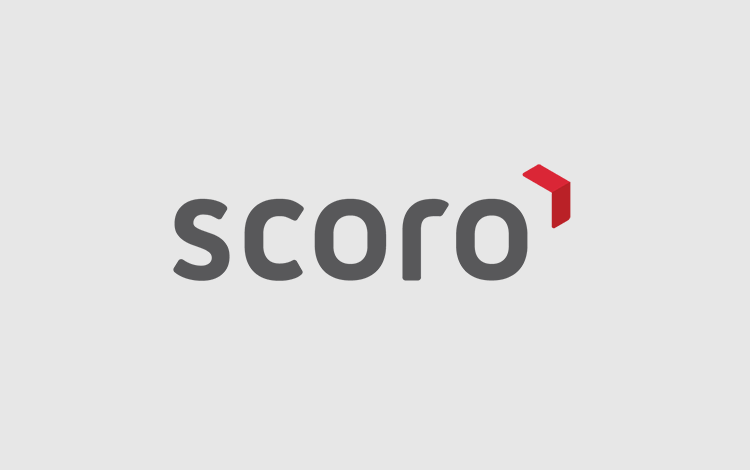 Let us know what you think at help@scoro.com. Ülli is the Product Marketing Specialist at Scoro. She’s always one step ahead on all the coming updates in Scoro, so if you want some scoop, she’s got you covered. 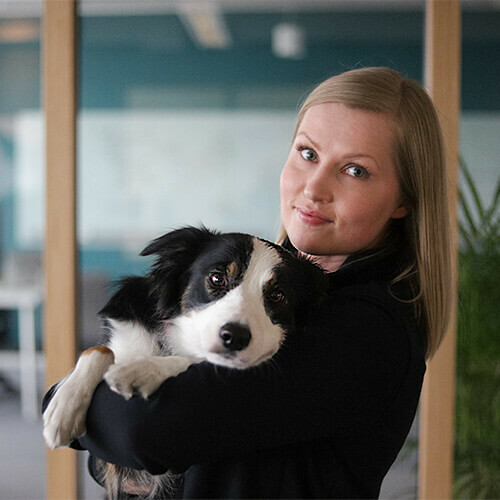 If you tried to abstract Ülli into three words, they’d be Writing, Nature and Dogs… You’ve just got to love dogs!